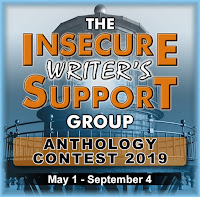 Insecure Writer's Support Group: IWSG April 2019 - Next Anthology News! 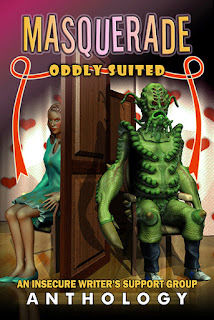 IWSG April 2019 - Next Anthology News! So it looks like it's April then - how did we get to the second quarter of 2019 already? Hope it's been a good one for you so far. Of course, being the first Wednesday of the month, it's time for our monthly meeting, so let's get to business. This month's wonderful co-hosts are J.H. Moncrieff, Natalie Aguirre, Patsy Collins and Chemist Ken! Hmm, this is definitely an interesting question. A wish to help me write the whole book wouldn't go astray, but that might be pushing cheating a little far! Actually, I usually find it particularly tricky to write the end - and this is the case right now as I grapple with pulling together my trilogy to write its final chapters. It definitely seems to be a tall order to tie everything up neatly, and of course there's the dreaded twist - you don't want readers to see it coming, but you also don't want them to feel like it's totally hit them out of left field. With the best twists, I think, "Ah, of course!" So yes, a bit of divine intervention in that department would definitely be appreciated. Now let's turn to this month's exciting news - we're announcing the genre and opening date for the next IWSG anthology! Our genre is Middle grade historical: adventure/fantasy and the opening date is May 1. The best brains are on the theme, and that will be announced on the opening date. So this is just to whet your appetite - you could use that time to brush up your knowledge of the genre if it's not your usual bag, for example. We're looking forward to more great entries! 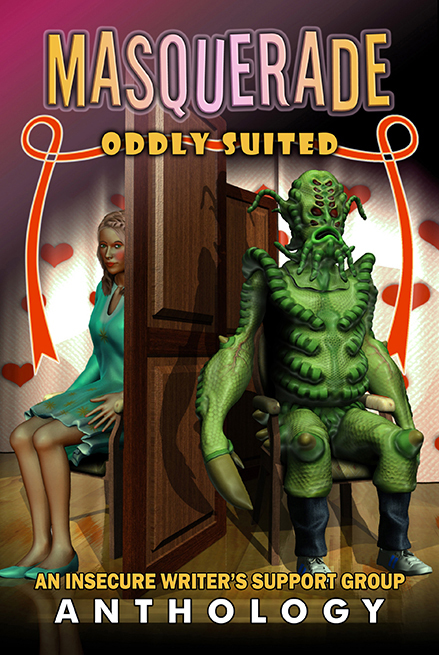 Don't forget the Masquerade anthology is hitting the shelves on April 30! We are partnering with DIY MFA this spring to bring you a great program for writers. Before we announce details, we’ll be sharing several of their learning videos. Here's the very funny Episode 236 with Jeff Somers on Writing Without Rules (or Pants). Check it out and come back later this month for details about the program. OK, now it's time to check out more IWSGers at the sign-up page. What part of your WIP would you wish for help with? Excited about the theme for the next anthology? Or for grabbing a copy of Masquerade? Interested to learn more about DIY MFA? Yes, the endings of a story are hard to get right. You want to leave the reader satisfied after they read your whole story. Sounds like a great new anthology. Awesome that people have more time to enter. We have a lot of cool stuff happening! I suppose it's cheating to ask for help with the whole book? Endings can be very tricky, especially getting that twist right. I hope we get a lot of entries for the next IWSG contest. Thanks for dropping by my blog and commenting! Endings are the most difficult for me. There's so much pressure to get it right! I can't wait until April 30th, and I'm also looking forward to the theme reveal for the next anthology! It's definitely a fun genre. Tying up all the threads is always a challenge! I enjoyed the podcast - thanks for the link - lots of good info in there!! I always need help with the whole book. I'm never sure where that help will turn up, but it seems to. Thank you, whoever or whatever you are. I working on the tricky ending of the first book in a trilogy. Has to wrap up and leave the reader wanting that next book. Ha, my wish was help with the ending too. It's hard! My muse does not like to wrap up always wanting to turn stuff into to a series, even my shorts. Happy IWSG! Lots of exciting stuff happening for IWSG. Good luck with your endings. I usually rewrite mine several times. Endings are definitely important. Some notable best-selling authors are not always great at endings. Looking forward to more info on the next anthology. Might be something new for me to try. The IWSG has exciting things happening right now. Thanks for your informative post, Nick! For my post, I said 'opening' but now as I reach 'the end' of my A to Z short novella - 20k plus words - I might need another wish. Too many threads, I fear. IWSG: the best writer’s group I belong to. Edit: I need to buy the anthologies! The end hasn't been an issue for me, but getting there is the problem!